This exciting new free to attend event in our annual calendar will be held on Friday, 27 September at the Kent’s Hill Conference Centre in Milton Keynes. Registration opens at 9.00am with the welcoming address at 10.00am. We expect the event to end at 3.30pm. It is a one-day conference aimed at education, health care and social care professionals and volunteers supporting those with inherited sight loss conditions. This will include Eye Clinic Liaison Officers (ECLOs), Rehabilitation Officers for the Visually Impaired (ROVIs), Qualified Teachers of the Visually Impaired (QTVIs), Mobility Officers, Clinicians, nurses and other medical professionals. 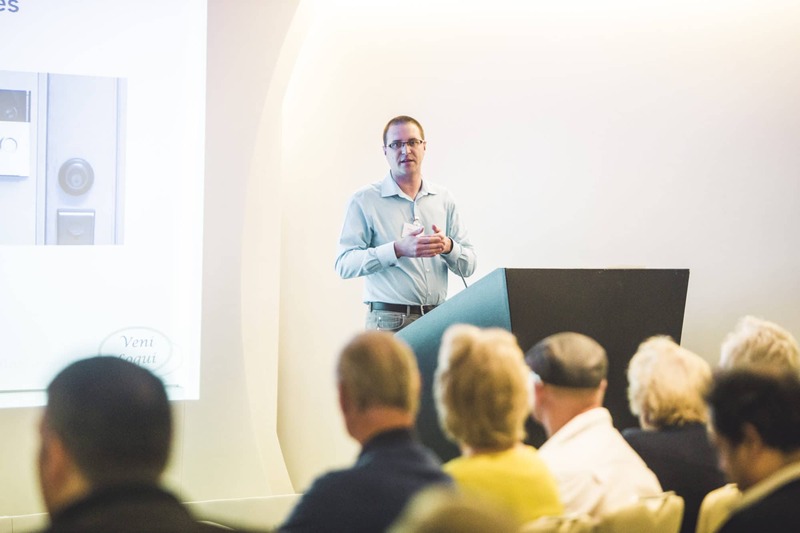 Hear the personal stories of those affected by inherited retinal conditions, get an update on the latest research including genetic testing and counselling, the search for treatments and how patients can get involved in research. Further your understanding of the conditions and the unique challenges faced by those living with or affected by inherited retinal conditions to help you provide the best support. Speak with exhibitors , including our generous sponsors Oxsight, and try out the products available to support those living with inherited retinal conditions. Learn how Retina UK can support you and those you care for/support – including services and resources available. Understand what support/information/resources are available from other charities and organisations. Meet Retina UK’s friendly, knowledgeable staff.